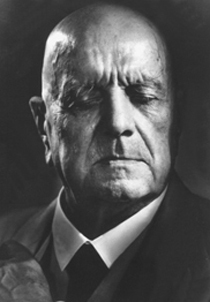 The works of Jean Sibelius established a strong sense of national musical tradition in Finland - a tradition that has flourished ever since, especially at the Academy of Music in Helsinki which adopted his name in 1939. He grew up at a time when Finland was fighting for independence from Russia, and the nationalist flavour of his early works was simultaneously appealing to the public and alarming to the authorities. Sibelius's music grew out of the Romantic tradition of Tchaikovsky, Berlioz and Wagner. The core of his oeuvre is his set of seven symphonies and his symphonic poems. He developed a personal and cogent symphonic style: every symphony has its own individual distinction which culminates in the 7th symphony. This work is the pinnacle of his technique in which he condenses the entire symphonic form into one movement.